Giardini delle Marche: what is it about? How did the idea develop? First, I would like to underline that Giardini delle Marche is a non-profit cultural initiative. We intend to give value – that is create value and profit – to historical garden in the region Marche by encouraging new openings. We always recommend that there should be guided visits, admission with fee (in particular because of the high maintenance costs of gardens) and the three main aspects of visiting gardens should be included. In fact, to enjoy the beauty of views and flowerings, you should always present the architectural/historical perspective, the botanical aspects and the pure contemplation. We would also like to organize events, to connect garden visits and local food-and-wine delights, bringing music inside gardens with concerts and performances. Anything more that could improve the usability of gardens by citizens and the economical sustainability for gardens’ managers. How many locations did you manage to get involved? 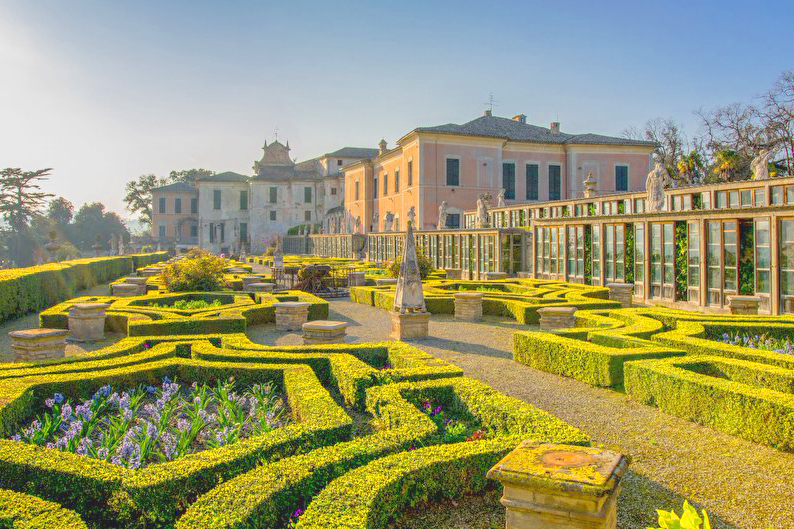 At the moment there are six official gardens to visit, some of them by appointment: Villa Caperile, Villa Imperiale and Villa Cattani Stuart in Pesaro, Villa Buonaccorsi in Potenza Picena, Rocca d’Ajello in Camerino, Borgo Storico Seghetti Panichi in Castel di Lama. In addition, there are three botanical gardens of the Universities of Urbino, Camerino and Ancona, the latter at the Selva of Gallignano. The recent earthquake in the region Marche we lost the beautiful Villa Collio in San Severino Marche, which we hope it will be given back to the community together with its flourishing gardens. Let’s talk about Villa Imperiale. Which are its typical features? Villa Imperiale in Pesaro is a beautiful and unique building, immersed into the park of Colle San Bartolo. The Villa is composed of the building-fortress built by Sforza during the Fifteenth century and then later handed down to the new Lords of Pesaro, i.e. Della Rovere. The noble family Della Rovere embellished the Villa with an extraordinary building, connected to the original by some kind of “Vasari Corridor” (i.e. an elevated enclosed passageway), which has not an actual purpose except astonishing the visitors with arcades and terraces, and limiting the formal garden located inside the walls on three levels. Although more than one thousand people per year visit the Villa, its opening hours are quite strict, in fact it can be visited only in Spring and Summer with bus leaving on Wednesdays at 4.30 p.m. from the city center of Pesaro! This year there will be some extra openings on Saturdays, organized particularly for gardens and park, that I’m sure they will be extremely successful. I would like to give thanks to the family Castelbarco Albani, who still lives in the villa and renounces some of the privacy to allow visits, and took care of the excellent restoration works and undisputable maintenance of the impressing property. Let’s say also that the tour guides cooperative Isairon is mainly responsible for the successful inflow, since they manage visits with enthusiasm and in a professional manner. In addition to the idea of organizing events, we still have a lot to do. 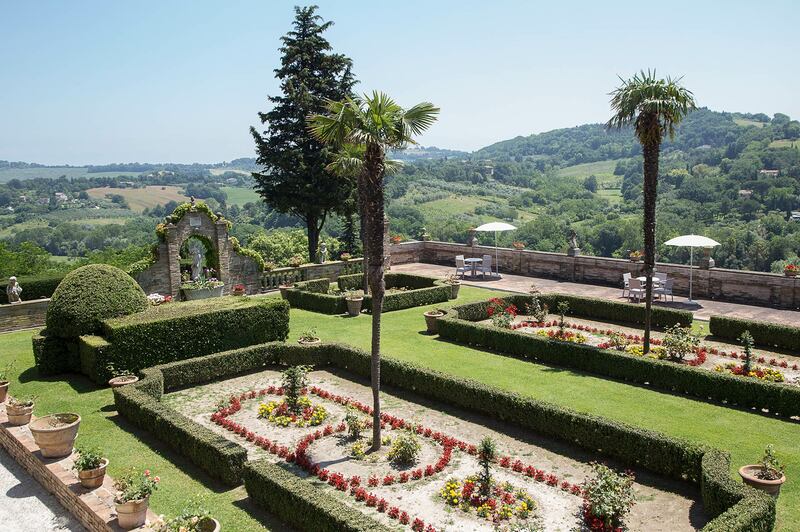 We would like to connect with new locations, allowing more openings of the stunning gardens in the region Marche, even for special occasions: from Villa Miralfiore in Pesaro to Villa Luzi in Treia, from Palazzo Marcinforte in Camerino to Villa Sgariglia in Grottammare, and many more. I would also like to say that our doors at Giardini delle Marche are open to anyone who wants to join in and become partner of our initiative that maybe one day, if more people get involved, could become an association.